Rich and Pam Bechard of Overland Park and Ernie and Mary Porter of Holton are pleased to announce the engagement and upcoming marriage of their children, Crista Bechard of Overland Park and Kyle Porter of Topeka. The bride-to-be is a 2008 graduate of Holton High School. She graduated from The University of Kansas this past May, where she received a master’s degree in occupational therapy. She is currently employed as an occupational therapist at St. Francis Health Center. 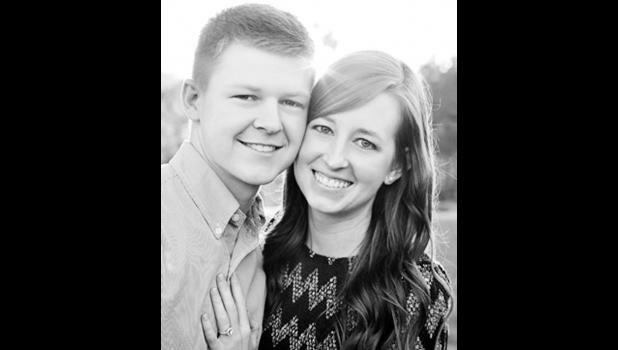 The future groom is a 2008 graduate of Holton High School, and a May 2013 graduate of Washburn University, where he received a bachelor’s degree in history with a focus in secondary education. He is currently employed as a teacher at Royal Valley USD 337. The wedding will be held July 25, 2015, in Overland Park.